Happy New Year and welcome to 2019! I have a brand new BOM for you this year called “Tuxedo Cats”. There are twelve blocks, each featuring a tuxedo cat in a different pose. The quilt is mostly black and white. The directions are for fusible appliqué, and the finished block size is 10”. The black part of the cat is usually cut in one piece, with additional pieces for the white paws, face, breast and sometimes the tip of the tail. The details are mostly embroidered. I use a very small satin stitch and do my embroidery by machine. I opted for a larger block size than last year but some of the pieces are still quite small (e.g. the eyes and the nose). I don’t mind working with tiny pieces but if that’s not your cup of tea, feel free to embroider them instead. Ein frohes und gesundes neues Jahr 2019! Auch in diesem Jahr biete ich einen Block des Monats an, den ich „Tuxedo Cats“ getauft habe, wörtlich übersetzt „Katzen im Frack“, aber im Englischen einfach eine Bezeichnung für schwarz-weiße Katzen. Es gibt wieder zwölf Blöcke, jeder mit einem Katzenmotiv. Der ganze Quilt ist überwiegend schwarz-weiß. Die Anleitung ist für Applikationen mit Klebevlies (Vliesofix), die Teile werden also aufgebügelt. Die Blöcke haben eine Größe von 26 cm (ohne Nahtzugabe). Der schwarze Teil des Katzenkörpers wird immer als ein großes Teil geschnitten, die weißen Flecken im Gesicht, an der Brust, den Pfoten und manchmal an der Schwanzspitze sind Extra-Teile, während die weiteren Details dann aufgestickt werden. Ich mache das mit der Maschine in einem ganz engen Zickzackstich. Die Blöcke sind in diesem Jahr schon größer als im letzten, aber einige Teile, z.B. die Nase und die Augen, sind immer noch relativ klein. Mir macht das Arbeiten mit so kleinen Teilen nichts aus, aber wer das nicht so gern mag, kann diese Details natürlich auch aufsticken. Ich veröffentliche die Blöcke jeweils am Ersten eines Monats, und zwar um 9 Uhr morgens in meiner Zeitzone, also Pacific Standard bzw. Daylight Time. Mitteleuropa ist uns in der Regel neun Stunden voraus. Ich bitte daher um Geduld, wenn die Blöcke erst abends mitteleuropäischer Zeit veröffentlicht werden. Automatische Veröffentlichungen mitten in der Nacht mag ich nicht so gern, im letzten Jahr gab es einmal ein Problem mit den Dateien, und das konnte ich innerhalb weniger Minuten beheben. Das ist mir lieber, als morgens schon Dutzende von Emails vorzufinden, in denen über Probleme geklagt wird. Falls es jedoch irgendwo Probleme gibt, bitte ich um eine Nachricht, damit ich sie umgehend beheben kann. A new block will be published on the first day of every month at 9 am Pacific Standard/Daylight Time. This means it will already be the second day of the month for some of you. Please be patient and please don’t email me asking when the next block will be published. I don’t like to schedule posts to be published in the middle of the night. Last year there was a problem with one of the pattern files, and I was able to fix it within minutes instead of waking up to dozens of messages complaining about the bug. If you find an issue, then please don’t hesitate to contact me, so I can fix it ASAP. Each block will be available for free download during the month of its publication. It will be moved to the store section when the next block is published. If you miss a block, you can still purchase it for a small fee. Please do not email me asking me to email you the pattern for free. I will ignore these requests. I only charge $2 per block (and that’s Canadian dollars, so it is even less for you in the US), and I will make bundle packs available again for three or six blocks, once we get there, that will give you an additional discount. Please respect my copyright and don’t pass your copy of the pattern on to your friend who might have missed the free download. This will just result in designers not offering free patterns anymore. Jeder Block steht für einen Monat zum kostenlosen Download zur Verfügung. Wenn der nächste Block veröffentlicht wird, zieht der vorherige Block in den Pattern Shop um. Wer also einen Block verpasst, kann ihn dort gegen eine geringe Gebühr erwerben. Bitte schickt mir keine Emails, in denen um kostenlose Übersendung eines verpassten Blocks gebeten wird. Diese werden unbeantwortet gelöscht. Ein Block kostet nur $2 (kanadische Dollar, der Kurs ist deutlich günstiger als US Dollar, zum heutigen Tageskurs wären das ca. 1,28€). Es wird auch wieder Bündel mit drei bzw. sechs Blöcken geben, die jeweils noch günstiger sind als die Blöcke zum Einzelpreis. Ich bitte darum, mein Copyright zu respektieren und die Muster nicht an Freunde weiterzugeben, die den kostenlosen Download verpasst haben. Das führt nur dazu, dass niemand mehr freie Muster anbietet. Jedes Muster enthält die Materialberechnung und Zuschneideanleitung für den gesamten Quilt. Die Anleitung für Block #12 enthält die Anleitung für die Zwischenstreifen und das Zusammennähen des Quilttops. Die Zwischenstreifen (Sashing) sind über Papier genäht und vor allem aus Flying Geese-Einheiten zusammengesetzt. 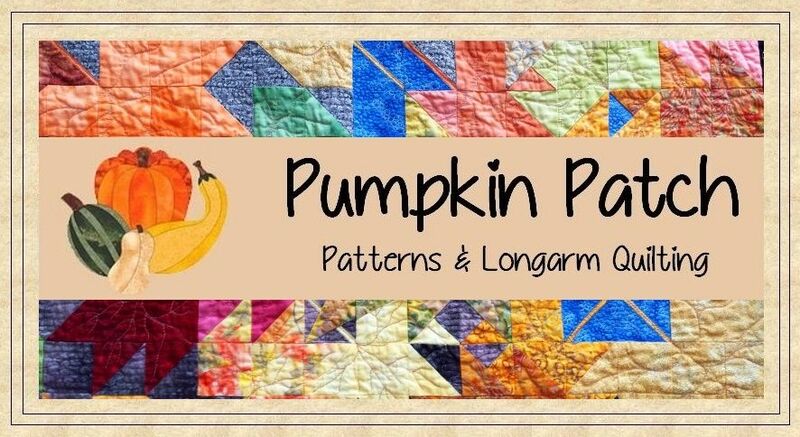 Each pattern contains fabric requirements and cutting instructions for the whole quilt. Block #12 will have the instructions for the sashing and construction of the top. The sashing is foundation pieced this time and mostly made up of Flying Geese units. I love to see what others do with my designs. So if you actually make the blocks right away and don’t just collect the patterns for later, please send me a picture. My email address can be found on the last page of every pattern file. Ich freue mich immer, wenn ich sehe, was andere aus meinen Mustern nähen. Wer also die Blöcke tatsächlich näht und nicht nur für später sammelt, ist herzlich eingeladen, mir ein Bild des fertigen Blocks zu schicken. Meine email-Adresse ist auf der letzten Seite der Anleitung zu finden. Edit: Die erste Katze ist in den Shop umgezogen. Wer also den freien Download im Januar verpasst hat, kann sie dort noch erwerben. Edit: January’s block moved over to the store. If you missed the free download last month you can purchase it there. Love the tuxedo cat will be making this quilt for sure. Thankyou so much. You are welcome, Monica, enjoy. I am looking forward to making this quilt. I love your background fabric. Is there a source for it? Isn’t the background fabric just perfect? It is part of the collection “Land Sea Sky” by Canadian designer Shania Sunga. I bought it at Hamels, my local quilt shop. The SKU number is CASS-C4017 W01. It is still available at the Hamels online store. Love the BOM, I am having trouble finding where to download the pattern. Hi Pat, there are two big buttons right at the end of this post. The first one (turquoise) says “click to download” the pattern in English with Imperial measurements. The second one (red) leads to the German/metric version. What happens when you click on the button depends on your browser settings. It will either download the pattern automatically to your downloads folder, prompt you to choose a location for the download or open the pattern as a pdf file, and you can save from there. This is assuming you are on a Windows computer. I have no idea how it works on a Mac, sorry. Thank you, found it, now printed and ready to go. Awesome, I am glad it worked! Gern geschehen, und danke für’s Vorbeischauen! die erste Tuxedo-Cat ist ja schon mal total niedlich! Herzlichen Dank für Deine Mühe, ich nähe bestimmt die eine oder andere. Danke, Ingrid, Dir auch ein gutes neues Jahr. Ich freue mich immer über Bilder von fertigen Blöcken… 🙂 Ich würde dafür auch eine Gallery einrichten, habe aber leider noch nicht genug Rückmeldungen bekommen. Vielleicht klappt es ja in diesem Jahr. Tengo tres gatos y hace muy poco descubrí que uno de ellos es un tuxedo. Gracias por compartir y te deseo un feliz año! Recibe un abrazo venezolano! Oh my, I haven’t spoken Spanish since 1987, so I won’t even try 😀 Happy New Year to you too, Ingrid, and thank you for stopping by. You are welcome, Sherry, thanks for stopping by. I love this pattern and can’t wait to get the rest. This is one that I will complete each month. Love these he cute kitties! Thanks for the darling patterns! You are welcome, Amanda, thanks for taking the time to leave a comment. Thank you. This is going to be too cute. You are welcome, I am glad you like it. Thank you for this BOM. I have a tuxedo kitty named Oreo so this is a must do. What a perfect name for a tuxedo cat, I love it! Thanks for stopping by, Beth. I am so thrilled with this BOM. I intend to make 3 of these quilts. One for me and one of each of my 2 daughters. Thank you. Wow, that’s ambitious! I am glad you like my design, thanks for stopping by, Diane. How do you keep the black cat fabric from showing through the white part of the cat? Hi Diane, that’s a good question, thank you for asking. While some of the solids are heavy enough to cover up the black fabric underneath, many of the WOW quilting fabrics are rather thin. If you find that your black fabric is showing, the easiest solution would be to double the white fabric. I usually put a solid white underneath, and I also add an extra layer of fusible. Please be aware that this might add some stiffness, depending on the fusible you use. You need to experiment a little to find out what works for you as it really depends on the product you use and if extra stiffness is a concern. There is a fusible web available called “Soft Fuse” which is exactly that… very soft. And I am also quite happy with Fusi-Bond Light which has become my go-to-product.